Meeting with and interviewing our customers in the booth. Such great insights were shared from Lululemon, IHG, 1800 Contacts and T Rowe Price--a big thank you to each of them! 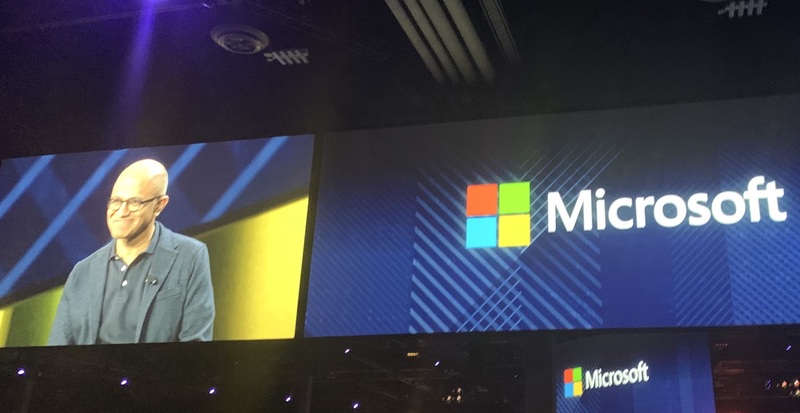 Learning from an endless list of fabulous speakers at the show - Hubert Joly, Satya Nadella, Reese Witherspoon - such inspiring perspectives and unifying messages. Connecting with partners and learning about their technologies and exciting new ways we can work together. Hosting a joint happy hour party with Google Cloud--we had such a great turn out! Last but not least, working with my amazing Quantum Metric team, I feel so blessed to be a part of such a smart, hard working, but especially fun team. You all make me proud to be part of the Quantum Metric family! 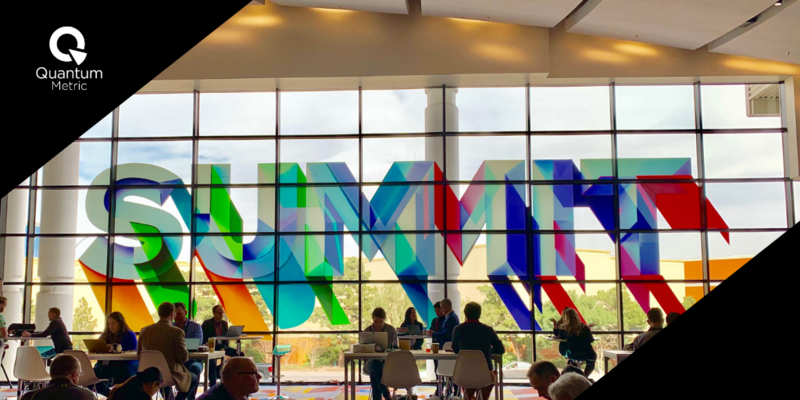 Not surprisingly, the entire summit was focused on “experience” (indeed, it is self-defined as “The Digital Experience Conference”), and most speakers interpreted this as customer experience. However, the notion of employee experience was also raised as an important consideration. As Shantanu Narayen, Adobe’s CEO, highlighted in the general session, the concept of a centralized system of data as the single source of truth across the organization is crucial for a unified approach to experience. As employees are working to provide the ideal experience to customers, it is necessary that they can quickly and easily raise important insights from the platforms that the organization utilizes to gather meaningful data. 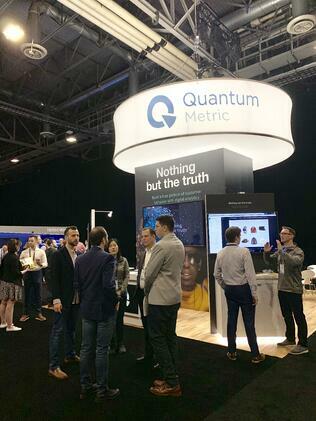 One of the great points of Quantum Metric is our commitment to automatically pinpoint and prioritize the top digital opportunities so that employees can spend less time troubleshooting and more time focused on innovation. Another topic that Narayen noted during the first General Session was the concept of privacy in regards to customer data. Without trust and transparency, the relationship between brands and customers falls apart and there is no basis for future experiences. With the principle of privacy by design, platforms are built with the customer in mind. This has been a topic that Quantum Metric has upheld since day 1, utilizing pseudonymization and military grade encryption to ensure PII is safe and protected. One theme that was very interesting was the relationship between the CIO and CMO and how today they are working closer than ever. During the session “The Changing Role of the CIO,” both the CIO of Intuit, Atticus Tysen, and the CIO of Accenture, Andrew Wilson, noted that the line is quite blurry between departments in terms of leading digital transformation and managing customer experience. As such, it is even more important that they work together and share the same insights and analysis that each team gathers. A great point that many continued to come back to was not only the collection and analysis of data but the actionability of the data. Long gone are the days of digging through piles of data for hours if not days in order to find an answer--time is ticking against us as we work to ensure a frictionless experience. With the vast variety of systems and integrations that organizations are using, it is all about the cross-pollination of data to paint a complete picture. However, that picture is useless unless you can take action on the data points used to complete it. This tied perfectly with our announcement of our latest Adobe Launch integration. The extension allows you to send behaviors and experiences from Quantum Metric to anywhere within the Adobe Experience Cloud ecosystem in real-time to take action as frustration or engagement happens. We are so excited about the actionability that this integration allows for and believe it will be a real game-changer for many organizations. If you were at the Summit, I hope you had an amazing time and gathered some meaningful insights. Missed a demo at the booth? Don’t worry, you can request one today!